The 5th American Association for Wind Engineering Workshop (5AAWE) will take place in Miami FL in August 2018. The workshop will be a 3-day event that will include keynote lectures, technical presentations, and social activities. 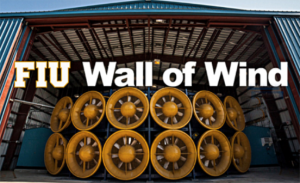 The workshop is organized by the Natural Hazard Engineering Research Infrastructure (NHERI) Experimental Facility (EF) Wall of Wind (WOW) at Florida International University (FIU) as a part of the NSF-NHERI outreach activities. The location of the workshop is in the heart of Key Biscayne at the Rosenstiel School of Marine and Atmospheric Science – University of Miami Campus. The area features plenty of parks, long beaches, mangroves and tropical forest inhabited by birdlife, butterflies and loggerhead turtles while being minutes away from Miami’s Business Center and Brickell Avenue. The workshop venue hotel is in the heart of downtown Miami in the JW Marriott Marquis which is a 2-minute to Bayside Market Place, 10 minutes to Midtown Miami’s urban chic sidewalks filled with boutiques, cafes & lounges, and a 15-minute walk from Brickell City Centre. Bus rides will be available to the workshop venue during the three days of the workshop. 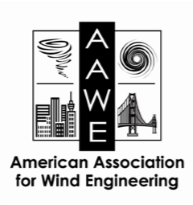 The 5AAWE workshop is an excellent opportunity for interaction between engineers, faculty, students, scientists, architects, planners and practitioners in the various fields of wind engineering and related disciplines. Members and non-members of the AAWE are welcome to attend and/or present at the workshop. Topics covering all areas of wind engineering will be accepted for presentation at the workshop. Students should use this informal setting to present their research and receive feedback from attendees. Those interested in presenting papers at 5AAWE are invited to submit an abstract of at least 150 words and less than one page (for instructions see the Submission tab). The deadline for the abstract submission is June 30 and the confirmation of acceptance will be sent shortly after. Authors with accepted abstracts are highly encouraged to submit a short paper (6 to 8 pages) by July 29. All accepted abstracts and papers will be included in the final proceedings and distributed to participants.